It has been a while since we last saw a Jordan Melo M9 kick from Jordan Brand, but one new colorway quietly hit shelves this month. The ninth signature shoe of New York Knicks superstar Carmelo Anthony is now available in Black/Metallic Gold – Gym Red – University Gold – Metallic Gold Star colorway. 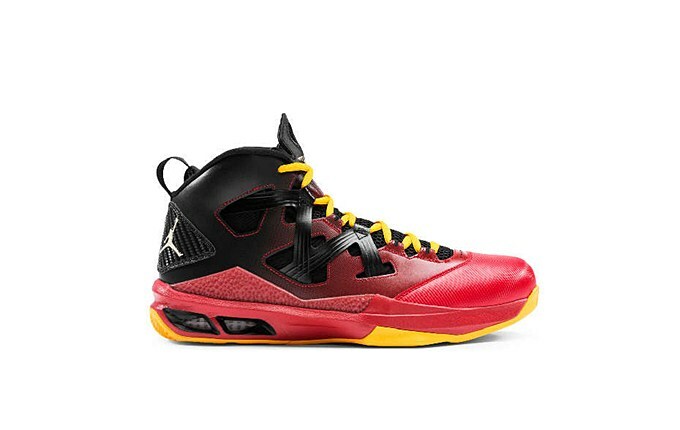 Although Anthony is playing for the Knicks, this shoe looks like it was patterned from the Miami Heat team colors. Check this out in the nearest Nike retailers now!